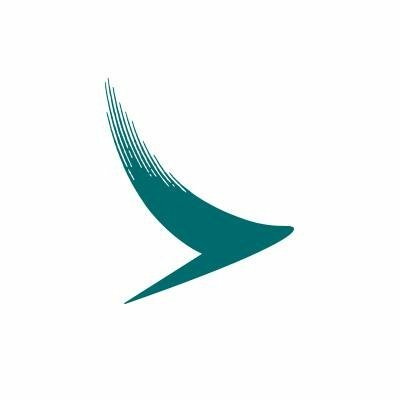 Cathay Pacific Travel Insurance is not offered when booking flights with Cathay out of the USA. This is actually great for customers. 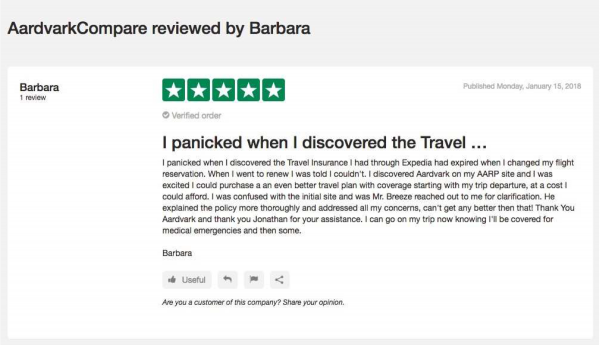 They can now look at the entire trip insurance market to get the best rates and coverage. 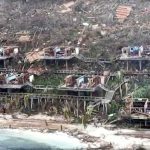 Those of us who fly within the USA know that every time on check-out, the airline will push its flight insurance. Over the years at Aardvark we have conclusively proven that airline travel insurance is of very poor value. It almost always ends up being over-priced with poor cover levels. So, the fact that Cathay Pacific does not market ‘Cathay Pacific Travel Insurance’ is terrific. Customers can now choose – we’ll show you how. But first to the Cathay Pacific flight booking system. 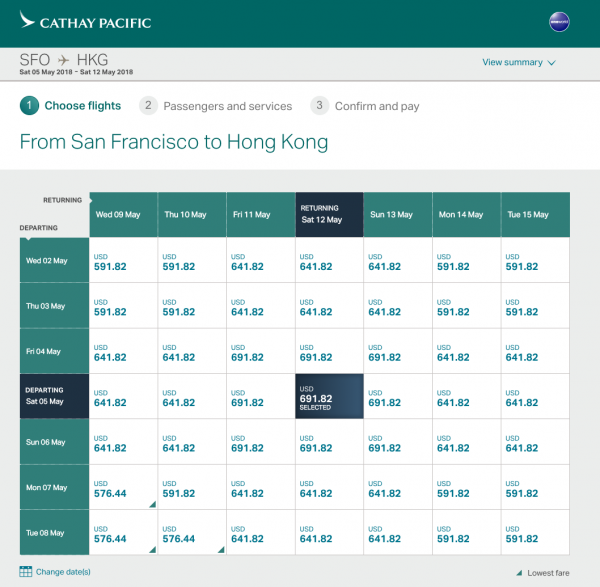 The Cathay Pacific flight booking process is simple and elegant. They seem to have gone out of their way to offer customers clarity, allowing a traveler to achieve best value. Many airlines seem to hide their lowest prices, or make fare comparison difficult. Cathay does not do this. They have a highly intuitive, fast site. Information is presented in a logical manner. We really like the site. It offers a simple, intuitive grid system. 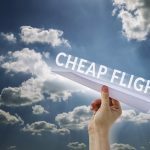 Customers can clearly see cheapest flights over a multi-day period. 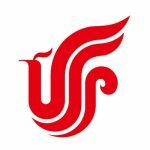 A few other airlines use similar display methodology – Air China, for instance. We think that this is the most efficient search system for a customer. 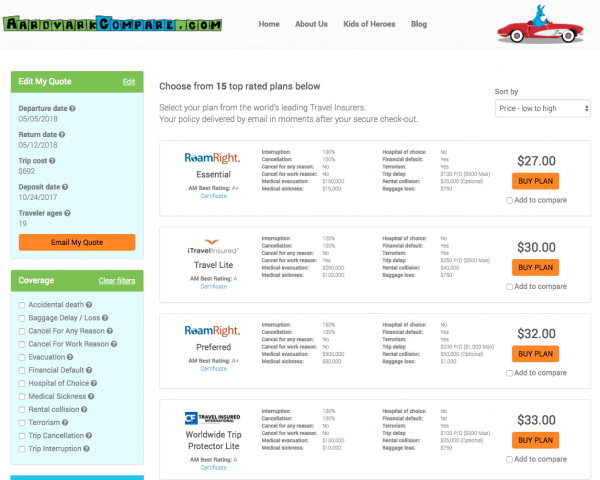 The lowest possible fare has already been highlighted to us in the fare grid. Once we select the days of travel, Cathay then shows us the least expensive flights for that particular day. 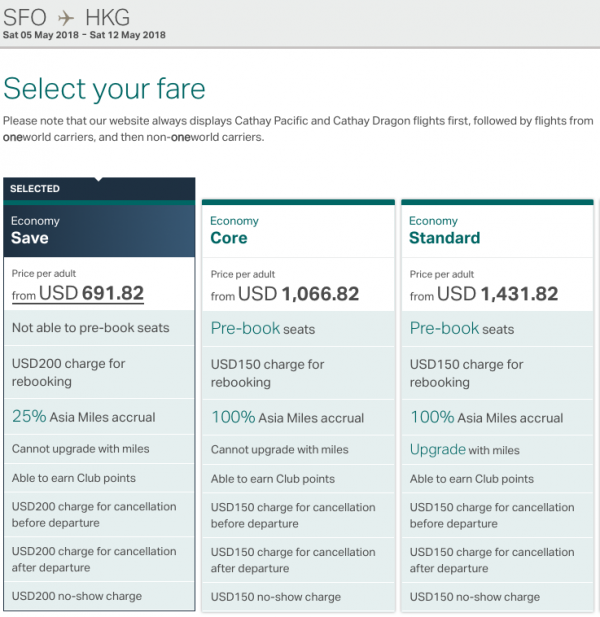 Note the trend here – Cathay is always trying to show best value for a customer. 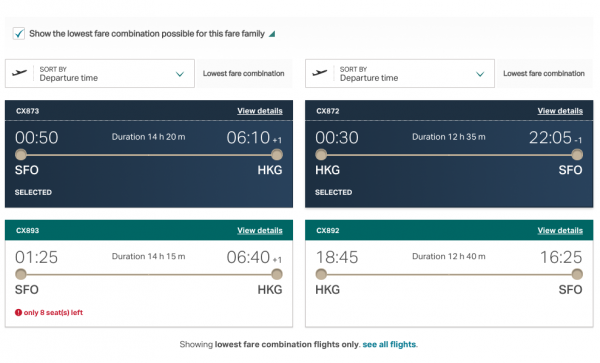 It is unusual, and admirable, that Cathay pursues this line of approach with its customers. We cannot fail to be impressed. In keeping with its desire for transparency, the first few fare booking rules per seat booking class are displayed. It is then simple to expand the fare rules so as to simply compare and contrast the different fares. Cathay, in line with every other international airline we have seen, uses different fare rules for the same seat. Just take a moment to understand this. Same seat. It’s important to understand that the passenger will be sitting in the exact same seat, with the same food and entertainment system. But as you can see, the price for this exact same seat jumps from $691 to $1,431 as the fare rules change. The price is doubling. What does a customer get for an extra $750? Re-booking and Cancellation fees are $50 less expensive. 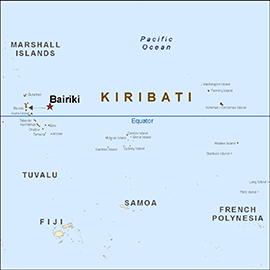 A few more ‘Asia Miles’ to add to your account. But really, that is it. 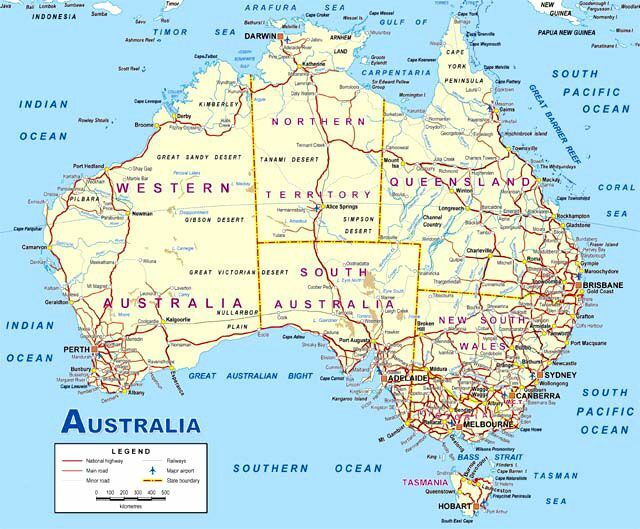 We will show a little later why we never book Refundable seats, and also how to insure non-refundable risk away. We explained that Cathay Pacific Travel Insurance is not available when we buy our ticket online. So let’s shop around. At AardvarkCompare that is exactly what we do for you. 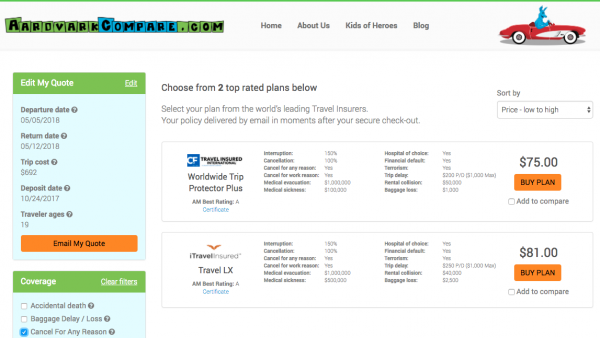 We get binding insurance quotes, anonymously, from all our major travel insurance carriers. One of our favorite low-cost policies is the iTI Lite plan. It is certainly low-cost – only $30. This is why we rarely recommend booking a Refundable seat. We see little point in spending $900 more for a Refundable seat when we can cover most of our needs with low-cost trip insurance. 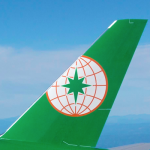 Cathay Pacific Travel Insurance – Does Aardvark charge More?